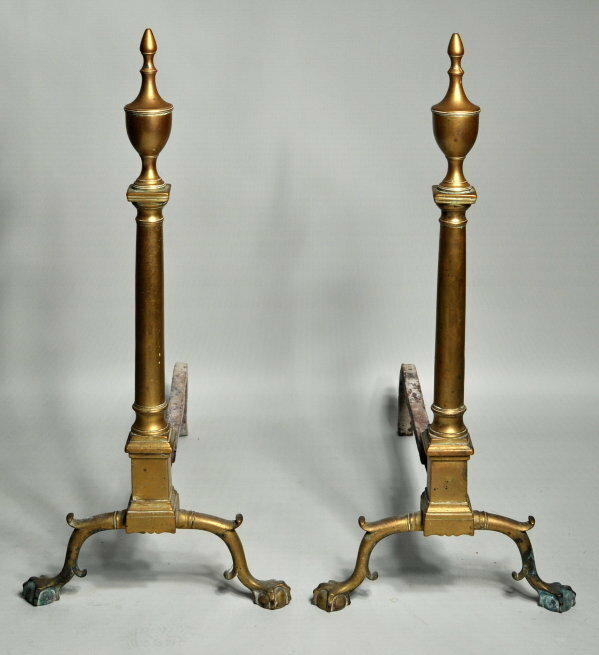 Very fine pair of chippendale brass andirons with arched, double spurred cabriole legs with double collar and vigorous sculpted claw and ball feet, supporting a plinth with scalloped base and shafts of columnar form having urn form finials. Completely original. Philadelphia, circa 1785-1800.